Tag Archives: New Formulations from PSC! Posted on July 19, 2018 | Comments Off on New Formulations from PSC! Professional Supplement Center® has added eight new formulations to our own line of professional grade nutritional supplements. These high quality products are designed to support optimal health maintenance, as well as address a variety of specific wellness needs. Scientifically researched and manufactured to the highest cGMP standards, all products are formulated with superior quality raw materials assayed for identity and purity. 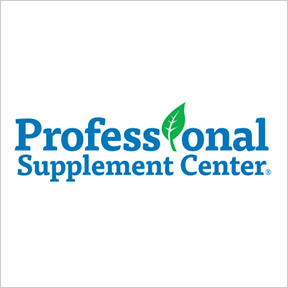 Professional Supplement Center adheres to truth in labeling to ensure products contain only the listed components. Products are guaranteed to contain the purest and most potent ingredients without preservatives, impurities, or artificial ingredients. B Spectrum: This synergistic formulation provides a full spectrum of the highest quality B- complex vitamins in active bioavailable forms. B vitamins support adrenal, immune, cardiovascular and nervous system health, carbohydrate metabolism, and healthy mental function and mood. Free of wheat, gluten, corn, yeast, soy, animal products, dairy, fish, shellfish, peanuts, tree nuts, eggs, and artificial ingredients. Non-GMO formulation. Curcumin Pro-95: For maximum benefit, this professional formulation provides BCM-95®, a 100% pure natural turmeric extract complex, standardized to contain 95% curcuminoids and essential oils of turmeric rhizome. Extensively studied BCM-95® provides comprehensive efficacy in support of antioxidant activity, and joint, brain and organ health. Free of wheat, gluten, corn, yeast, soy, animal products, dairy, fish, shellfish, peanuts, tree nuts, eggs, and artificial ingredients. Non-GMO formulation. Melatonin Plus 5 mg: This controlled release formulation delivers 5 mg of melatonin in two phases; one mg immediately released upon digestion, and the balance over a 6 hour period. Melatonin helps to promote healthy sleep patterns and provides support for antioxidant and immune activities. Free of wheat, gluten, corn, yeast, soy, animal products, dairy, fish, shellfish, peanuts, tree nuts, eggs, and artificial ingredients. Vegetarian formulation. MinPro: This balanced multi-mineral formula provides highly bioavailable Albion® patented and fully reacted mineral amino acid chelates, malates and mineral complexes in support of mineral nutrition, glucose/insulin metabolism, and general wellbeing. Free of wheat, gluten, yeast, soy, animal products, dairy, fish, shellfish, peanuts, tree nuts, eggs, and artificial ingredients. Non-GMO formulation. Pro Multi Daily: This synergistic, comprehensive, hypoallergenic multivitamin and mineral blend provides a balanced profile of proper amounts of activated vitamins and Albion® chelated minerals in support of energy production, antioxidant protection, detoxification and overall wellness. Free of wheat, gluten, yeast, soy, dairy, fish, shellfish, peanuts, tree nuts, eggs, and artificial ingredients. Non-GMO formulation. Pro Multi Daily without Copper & Iron: This hypoallergenic formulation provides proper amounts of synergistic micronutrients in bioavailable forms for optimal absorption and utilization. Pro Multi Daily without Copper and Iron supports foundational wellness, antioxidant activity and phase 1 detoxification. Free of wheat, gluten, yeast, soy, dairy, fish, shellfish, peanuts, tree nuts, eggs, and artificial ingredients. Non-GMO formulation. Professional Choice Omega: This concentrated omega-3 oil provides pure, stable EPA and DHA exclusively sourced from US caught certified sustainable wild Alaskan cold water fish. Omega-3 fatty acids support cardiovascular and joint health, proper glucose and insulin metabolism, and heathy brain and nervous system function. Free of wheat, gluten, corn, yeast, soy, dairy, shellfish, peanuts, tree nuts, eggs, and artificial ingredients. Non-GMO, Alaskan IFOS Five-Star Certified formulation. Professional Choice Omega EC: This Alaskan IFOS Five-Star Certified omega-3 fish oil delivers 900 mg of pure, stable EPA and DHA in support of cardiovascular and joint health, proper glucose and insulin metabolism, and healthy brain and nervous system function. Sustainably sourced from wild Alaskan cold water fish. Free of wheat, gluten, corn, yeast, dairy, shellfish, peanuts, tree nuts, eggs, and artificial ingredients. Non-GMO formulation. Probiotic Professional 30: To ensure targeted intestinal release, this shelf-stable four-strain probiotic supplement delivers 30 billion colony forming units (CFU) in a gastro-resistant capsule. These extensively studied beneficial microorganisms help support the natural immune response, bowel regularity and lactose digestion. Each vegetarian capsule is sealed in nitrogen-purged aluminum blister packs to protect from factors known to compromise stability of probiotics, such as heat, moisture, and oxygen, making them perfect for home, office or travel. Free of wheat, gluten, soy, animal products, dairy, fish, shellfish, peanuts, tree nuts, eggs, and artificial ingredients. Non-GMO, vegetarian formulation. Probiotic Professional 100: This four-strain probiotic supplement provides 100 billion colony forming units (CFU) per gastro-resistant capsule. These extensively studied shelf-stable strains of beneficial bacteria help to maintain a healthy intestinal microecology, and provide support for the natural immune response, bowel regularity and lactose digestion. To serve as protection from factors proven to compromise stability of probiotics such as heat, moisture, and oxygen, each vegetarian capsule is sealed in a nitrogen-purged aluminum blister pack. No refrigeration required. Free of wheat, gluten, soy, animal products, dairy, fish, shellfish, peanuts, tree nuts, eggs, and artificial ingredients. Non-GMO, vegetarian formulation. Comments Off on New Formulations from PSC!